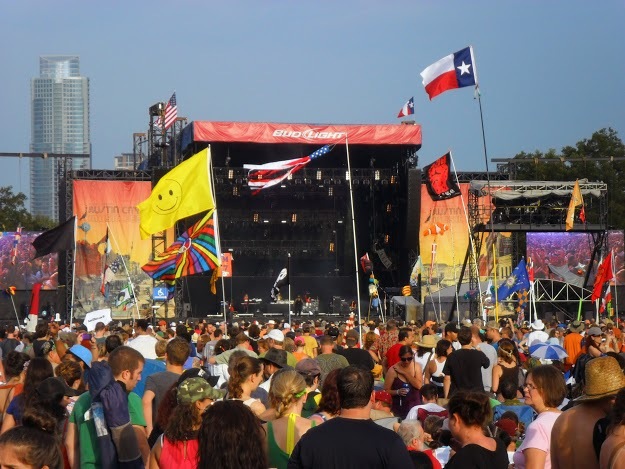 By Samantha Grasso I was a senior in high school the first time I attended ACL. My wristband was a birthday gift from a boyfriend at the time, and together we strategically planned which artists to go see, what vendors to visit, transportation to and from Round Rock, and how we were going to get out of a mandatory marching band event that Friday night. We ended up using the excuse that we were going out of town to a wedding (which wasn’t technically false — my eyeballs joined Coldplay in holy matrimony that Friday night), but the point is that while hours of planning were invested in this process, my first ACL experience was riddled with mistakes that could have been avoided. Three years later, I’m attending my fourth ACL with an inch or two of wisdom. I present the “ATX Rookie Guide” to ACL. 1. Use your resources — In the future, jump on the ACL volunteer application as soon as it’s released around mid-July, but for now you still need to find a wristband. Avoid the scalpers posted outside the festival entrances and go directly to your online resources: Craigslist and the UT resell groups on Facebook. If you don’t have access to the UT groups, ask a Facebook friend who does to do some searching for you. I’ve noticed a trend where people become more desperate to get rid of their wristbands as the weekend of ACL creeps closer. Don’t wait until the last minute in anticipation that someone will sell you his/her pass for next to nothing, but keep this inverse relationship in mind as you shop around online. The annual discounted student sales are useful as well, but purchasing a resale ticket helps both yourself and the person needing to resell. 2. Map your route — Use the Capital Metro website or Google Maps to plan your transit. ACL shuttles will drive attendees between Republic Square Park downtown and Zilker Park, but getting to the shuttle site and then back home will be the real challenge. Austin public transportation is not the most reliable, but being prepared and knowing which buses and routes to take will prevent you from getting lost late at night downtown. If you know which bus to take back to campus and see someone looking a little confused or asking others for guidance, step in and help them out. That good karma will help you out toward the end of the weekend. 3. Bring only what you care to lug around for eight hours — This tip speaks for itself. Everyone likes the friend who carries around the extra sunscreen, but no one likes being that friend. Live the weekend like a nomad and take only what you need: phone, cash, allergy meds, snacks, an empty water container. Visit the ACL website to see a list of what isn’t allowed in the park before you’re forced to abandon your aerosol sunscreen at the festival gates. 4. Airplane Mode – Yes, Instagramming every moment of the festival is addicting, but you won’t be able to document much of ACL if your phone dies a few hours into the day. Take your photos and video in airplane mode, and upload your favorite shots while taking a break at the food court. Your phone battery will thank you. 5. Save your money — ACL is expensive. Factor in food, art, merchandise and the accidental ATM fee or two, and you’re looking at spending at least an extra $60 after purchasing your wristband. 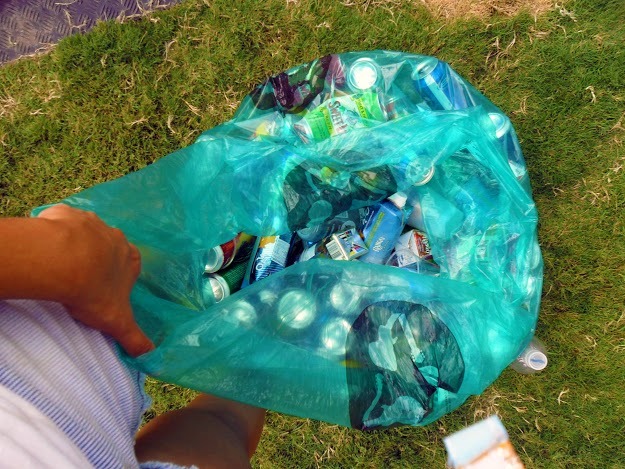 To avoid these expenses, eat before you leave for the festival, and take advantage of the small pockets in your backpack or purse to hide Cliff Bars and other snacks (but you must hide them; they’ll be confiscated at the door). If you don’t want to spend $30 on a T-shirt, invest in ACL’s Rock and Recycle program to earn a free commemorative ACL 2014 tee. Withdraw cash from your bank’s ATM before hitting Zilker Park, and avoid the pricey processing fees from the ATMs at the venue. It’s the little things that will help you balance your budget in the weeks to come. 6. Beware Mother Nature when planning your attire — You’ll be standing with 70,000 people this weekend in humid to scorching hot conditions, so dress for comfort above style. 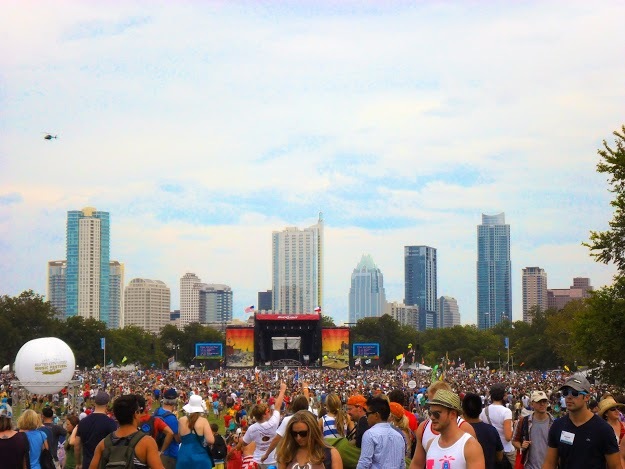 Because ACL weather can be unpredictable, check online ahead of time to prepare accordingly. Regardless of the rain, Zilker Park grounds tend to get worn down and muddy toward the end of the weekend, especially near the water refill stations, so wear a pair of shoes you don’t mind getting a little life on. 7. 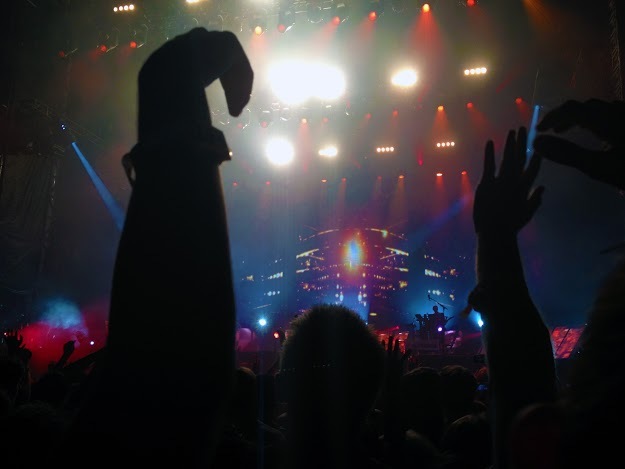 Two is a party, three's a crowd — While it’s always safe to travel to and from Zilker Park with a group of friends, sometimes a five- or six-person team can become annoying and frustrating when you all have different stages you want to see at the same time. Don’t be afraid to split the group to accommodate everyone’s interests. Choose a place to meet at the end of the night outside the venue, like the shuttle stop or Chuy’s. That way, in the event that you can’t get in contact with the other part of your group, you can at least find them. 8. Have a good time — Enjoying yourself should be your number one priority. It’s easy to get lost in the planning and preparation for ACL, but remember that you came to have a good time, and dammit, you will. Let your plans change. See a band you weren’t intending to see. Visit a few vendors and enjoy the local eateries. ACL is too short to let a few small details kill your vibe. Seize the weekend!